Strings is a series of annual conferences bringing together the string theory community; it is the major conference in the field. The series started in the 1980s. Strings 2019 is organised by a consortium of Belgian Theoretical Physics Groups coordinated by the International Solvay Institutes. The 'Strings 2019' conference will take place at Flagey - Place Sainte-Croix, 1050 Bruxelles, Belgium. 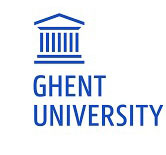 There will be a pre-Strings workshop organised in Leuven from 2 to 5 July 2019. For information and registration please visit Pre-strings 2019 Leuven. For information and registration please visit: STRINGS 2019, BRUSSELS, BELGIUM. A gong show and a poster session will be organized on Tuesday 9 July 2019. Abstract Submission deadline is 31 March 2019. A banquet will be held on Friday 12 July 2019.